Proleter from Toulouse is widely known for high quality remixes and productions. Tasty Soul Breaks and Jazz-flavoured HipHop team up in his work with amazing and classy Swing Hop. The best proof for this, is his recently released EP „Rookie“. The title must be meant ironically, cause the eight tracks are advanced and high class productions with precise and stylish arrangements. Most of the tracks are Swing-influenced tracks in HipHop rhythms, ready to enter laid-back dancefloors very soon. Manouche guitar sounds and Jingle-Jangle piano lines like in the fantastic track „Not afraid“ or vinyl crackling, superb scratches and cuts of far eastern chanting in „Inna“ are nothing less than astonishing. DJ Vega contributed all cuts, scratches and turntabletricks, which gives even more quality and variety to the release. Proleter´s „Rookie“ is a deep and loving bow to Jazz, Swing and Soul masters of all decades. His arrangements are, once again, full of respect for the achievements of ninety years of music history. Nowadays, in an era of cheap remixing and countless callous remakes, this can´t be overestimated. 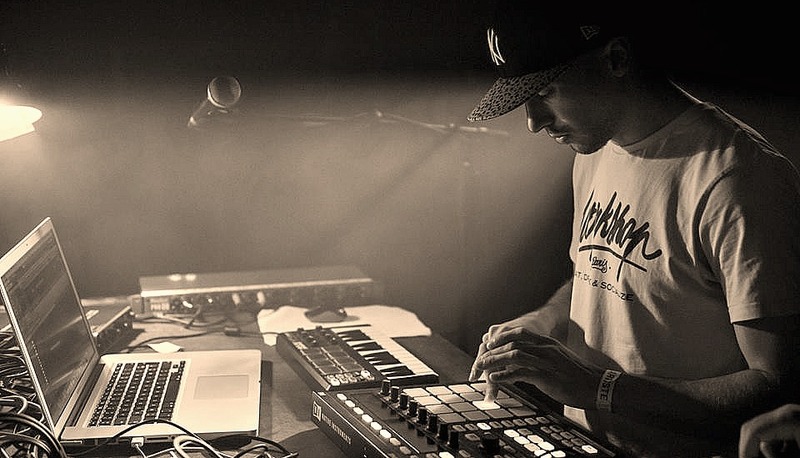 Nevertheless, Proleter added his great skills of beatmaking and his unique understanding of refreshing vintage sounds. You can download this masterpiece for free, but we highly recommend to show respect to the producer´s work and name your own price on Proleter´s Bandcamp-Profile.